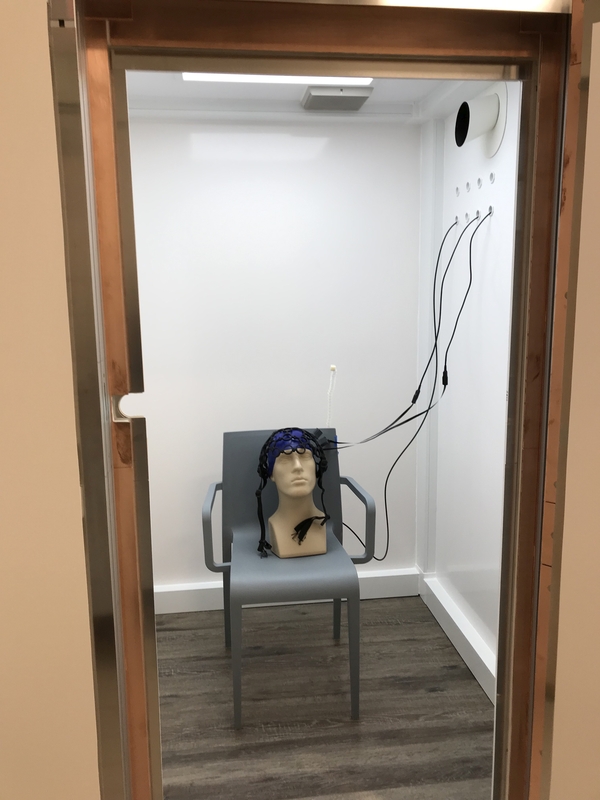 Magnetoencephalography (MEG) and other biomagnetic recordings are generally made inside a magnetically shielded room (MSR) to suppress environmental magnetic noise. Traditional MSRs built for superconducting MEG systems are very large (for example 3.9 x 2.9 x 2.3 m) and cost around $1M. Optical MEG systems, such as QZFM based MEG, can be very compact and do not require such a large MSR. Magnetic Shields Limited (MSL), UK, has now commercialized a smaller yet comfortable room suitable for most MEG paradigms with optical sensors. 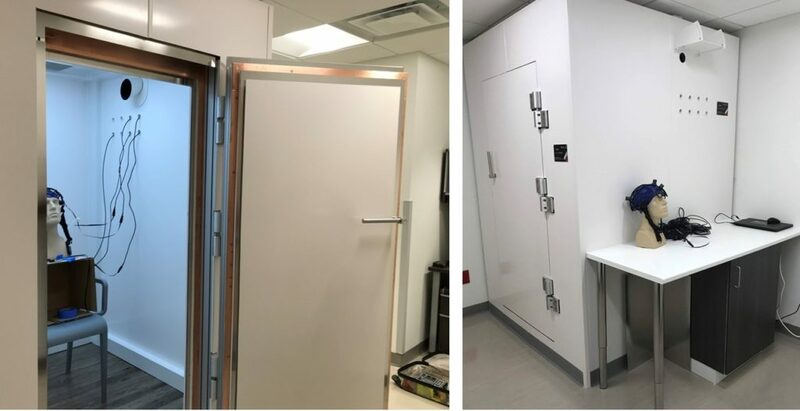 The smaller room costs roughly $150k and has internal dimensions of 1.3×1.3×2 m.
The small ‘phone-booth’ style room comes with all essential features such as LED lights, airflow, and access holes for MEG system cabling. The room can also be outfitted with a projection system for visual and other stimuli. We are working with MSL to further customize the room with QZFM specific MEG requirements such as a residual field cancellation system and sensor position and localization system. Overall conclusion: This room is an excellent, low-cost choice for a QZFM based MEG system.